If you’re thinking of escaping to the coast soon, Little Ankle Biters has pulled together a list of our favourite family-friendly beaches. So, have a look at the list below, and as always check details before you travel to make sure it’s right for you, but we hope this gives you a good starting point for planning your family trip to the seaside. This beautiful sandy beach is a firm favourite with Little Ankle Biters and is a great option if you’re looking for family-friendly beaches. Near to Chichester, there’s ample parking and a long stretch of untainted sand. You won’t find much here in the way of shops, restaurants and activities, but hey, that’s part of its beauty. So, pack a picnic, bring a kite, buckets and spades and settle in for a day of beach perfection. P.s There’s a small café and toilets so you’ve got the essentials if needed. For more information, see http://www.westwitteringbeach.co.uk/. An oldie, but ohhh such a goodie. We have family ties with Swanage and have spent many a summer’s day basking on the gorgeous beach and enjoying fantastic walks in the surrounding area. You can come across to Swanage on the little chain ferry from Sandbanks (and check out how the other half live at the same time), which the kiddies will love. The beach itself is a calm and sheltered sand and shingle beach making it perfect for families. There’s a Victorian pier where you can go crabbing and loads to keep little ones entertained as well as a great selection of places to eat and traditional fish and chip restaurants. Just across the road from the main beach you’ll find a little amusement park which makes for a good hour or so. You can also get the quaint Swanage Railway Steam Train from Swanage 6 miles up through the Purbeck Valley and past the stunning ruins of Corfe Castle. Corfe Castle is National Trust and well worth a visit, the kiddies will love exploring the castle ruins and the views from the top are stunning. For more information, see http://www.swanage.gov.uk/BeachBay.aspx. A must-do for families is this lovely stretch of beach, partnered with crabbing at Mudeford. 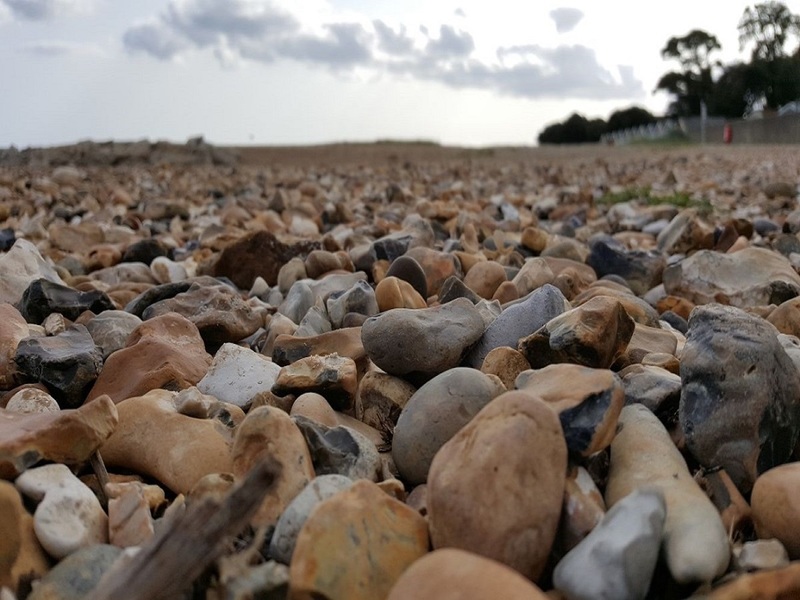 You can park up at Highcliffe Castle and walk down to the huge sand and shingle beach where there’s plenty of space and a relaxed atmosphere. There’s also a nice tea room at the castle if you fancy a little stop on the way back. Closer to Mudeford you’ll find a small car park at Avon Beach with space for 100 cars, here the beach tends to be busier and stonier but plenty of fun for the kiddies and a short stroll along the promenade takes you right into Mudeford. Famous for its fantastic crabbing, Mudeford is a great place to spend an afternoon. There’s a shop selling buckets, spades and all the crabbing gear, plus a café and toilets. You’ll also find a great fish shop, just about as fresh as it gets. For more information, see http://www.avon-beach.co.uk/ or http://www.highcliffedorset.co.uk/. Brighton has been a favourite beach escape for Londoners for years, and it’s easy to see why. There’s so much to do here you’ll need more than just a day. For starters, there’s a long stretch of stony beach great for walks and no better in my view for sitting eating fish and chips straight out of the paper. For children, there’s plenty at the beach to keep them entertained. There’s the Brighton Aquarium (click here to see our review), the world-famous Brighton Pier with its numerous rides and attractions, the Lanes for even the fussiest of shoppers and loads of restaurants to boot. The sea can be rough and the pebbles don’t make for the most comfortable of sunbathing, but for many this is the quintessential British beach, and one that needs to be experienced. For more information, see https://www.visitbrighton.com/. With gorgeous golden sands, miles of the best unspoilt beach in the UK and year round events, Sandbanks Beach in Dorset is a favourite with families, including ours, and it’s easy to see why. Sandbanks is a small sandy peninsula which has won an award for it’s Blue Flag Sandbanks beach 29 years in a row. It’s also been designated as having the highest standard of cleanliness, winner for families! With miles of golden sand, clean waters and a promenade great for cycling and scooting, there really is something for everyone. With 7 miles of golden sand this is renowned as one of the best city beaches in the UK and has long been one of the south coasts most popular family beach destinations, and with so much to offer it’s easy to see why. The soft sand beach and tonnes of space make it the perfect destination for families, even if it can get pretty busy in the peak of summer. Away from the sand, Bournemouth has plenty to shout about. Last time we went we had a go on the adrenaline fuelled PierZip, the world’s first pier to shore zip wire! Not for the faint hearted but we loved it, you can book online here. Also at Rock Reef there’s loads for kids to do including indoor climbing walls, indoor caving and high ropes – perfect for adventurous little ones! You’ll find loads of choice for eating out in Bournemouth, and if you’re looking for convenience in the centre try BH2 which is home to loads of favourite High Street chains and a luxurious Odeon cinema. Phew! For more information, see https://www.bournemouth.co.uk/beach/. Littlehampton consists of two award-winning, sand and shingle beaches which are a great spot for families to set up camp on a summers day, specifically East Beach is great for kiddies. As the tide goes out the perfect sandcastle making sand will be revealed! Littlehampton is probably best known for its entertainment off the beach though and has a great child-friendly funfair, the world’s longest bench, Stage by the Sea and a miniature railway. For more information, see www.visitlittlehampton.co.uk. We hope you enjoyed this post on family-friendly beaches. For ideas on other family days out in the UK, click here.